Product Description: Recognize a star with this jade glass award standing strong with a chrome star in the right hand corner. 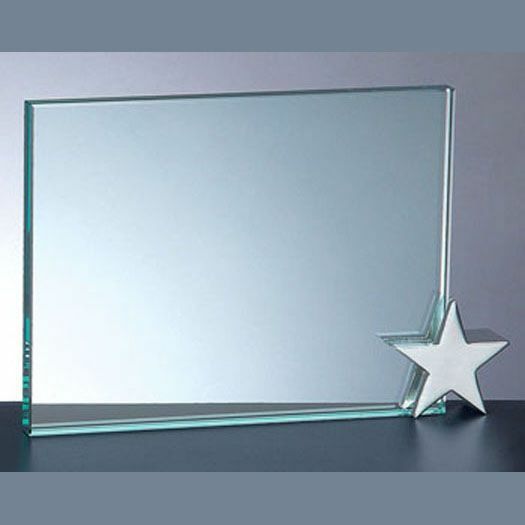 Plenty of room to engrave your text and/or logo onto this glass award. Packaging: Cardboard gift box included.